Marcus Lasance recently took early retirement from Verizon Business, where he was a principal consultant on the topic of Identity and Access Management. While at Verizon he was charged with defining Verizon’s new cloud-based user centric identity management services, but it was hard to make the Board see the enormous opportunities they were missing. From 2002 to 2007 Marcus was on the Board of Directors of Maxware AS in Norway and the products he helped develop are now part of the SAP Netweaver IDM product set. His experience ranges from developing HR systems, through X.500, LDAP, Meta Directories, life cycle management to provisioning. Marcus is a graduate from Nijenrode University and RSM Rotterdam School of Management is well known in the Identity and Access Management Industry and worked in this area long before the term IAM was even invented. Marcus is available for short term consultancy assignments. The Illustration above represents my interest in EU politics, especially the politics of #brexit. It replaced a previous picture of Anwick Castle in Northumbria, famous for being the location of ‘Hogwarts’ in the first two Harry Potter movies. The association with Identity Management was always a bit tenuous but had to do with disappearing perimeters, which means that the castle moat, fire walls and inner keep model of the organisation is rapidly disappearing and becoming a relic of the past like this castle. 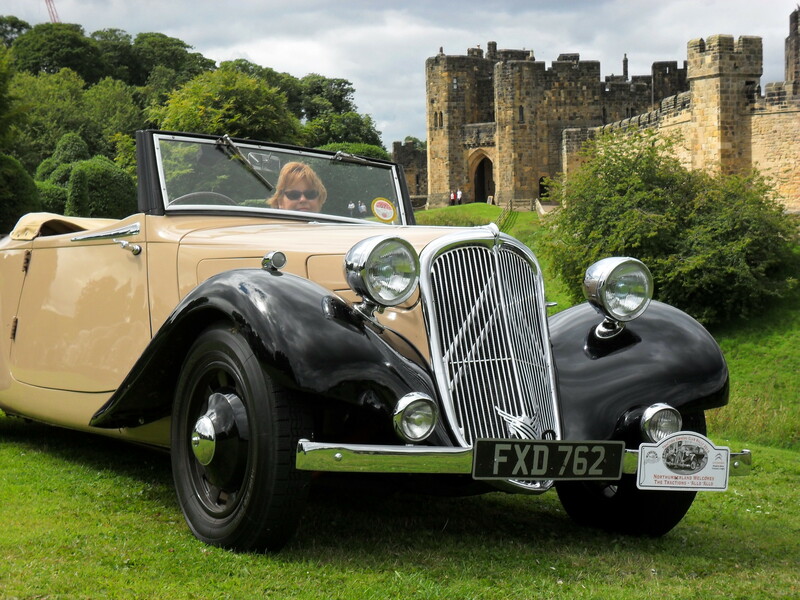 The castle was also the venue of winning a best pre-war entry prize from the Citroën Traction-Owners club.